← A red Hibiscus flower for a Birthday! I hope you all had a very nice holiday and a visit from a hard-working Easter bunny! Easter Sunday was a bit windy and cold in Austria, nonetheless the Easter bunny hid all the sweets & eggs in the garden for the children. 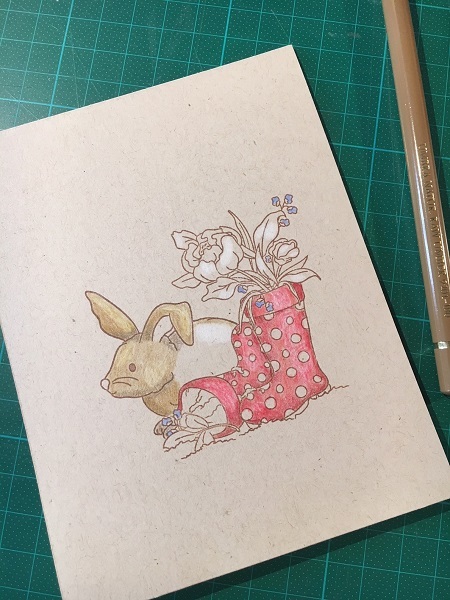 Anyways, today I want to share this year’s Easter cards with you. 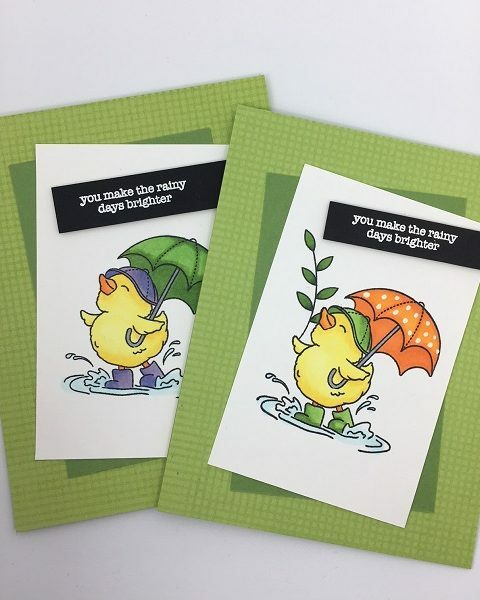 I used the Simon Says Stamp Card Kit “Choose Joy” for the cards. 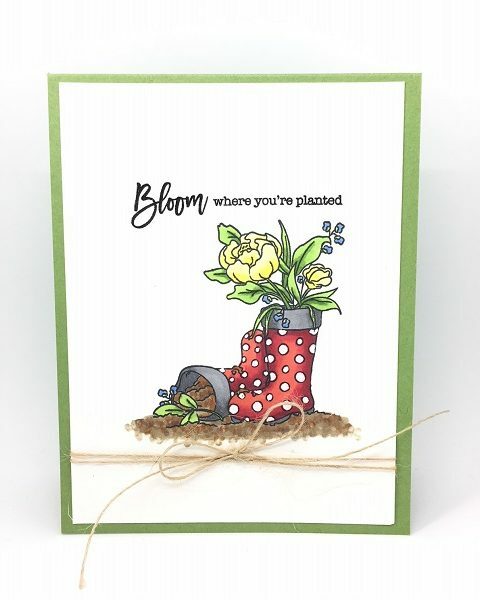 The stamp images are just so cute: the adorable Easter bunny and the planted rain boots were my favorites from the beginning. And so I stamped away. 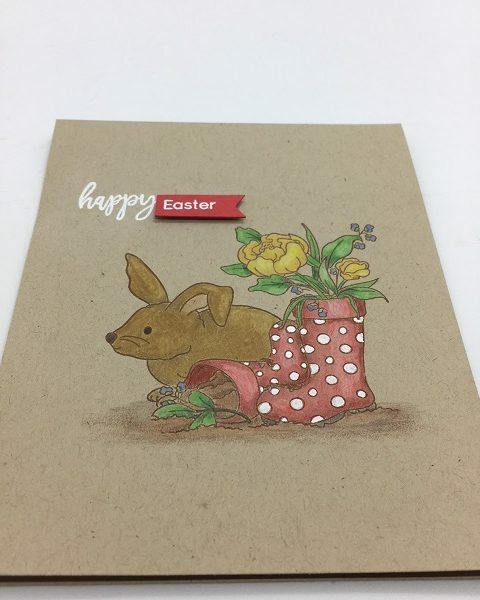 I made two cards with kraft card stock and colored pencils; I adore the effect you can achieve with that technique. Don’t you think that the white dots on the boots make the image pop? 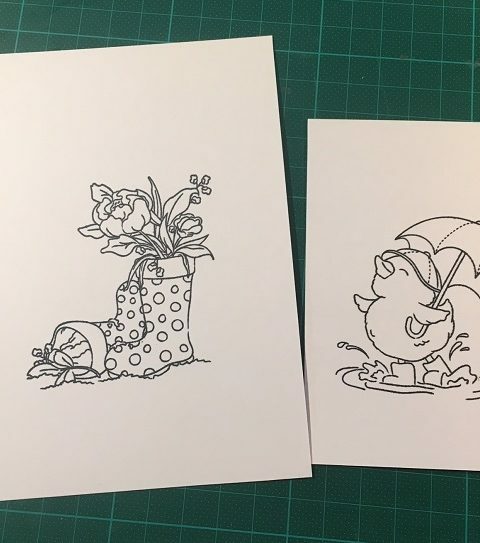 After that I also made some cards on white paper. 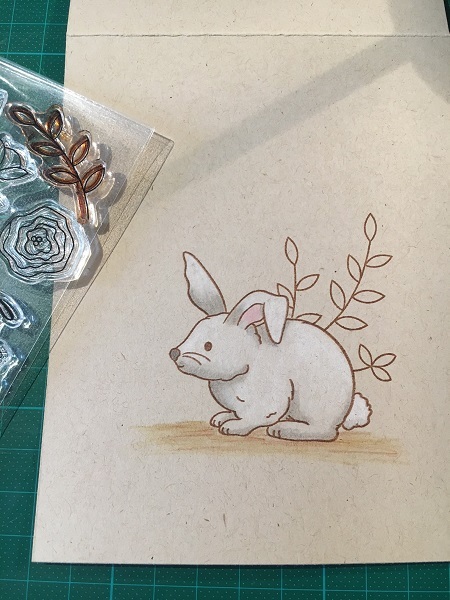 I really wanted to color the cute images with copics. 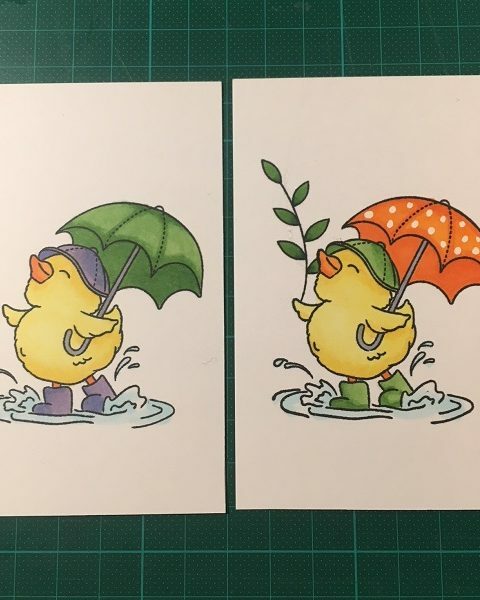 I made two cards with the adorable chick image and another one with the rain boots that are planted with spring flowers. 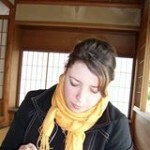 I hope you have a great start into spring! 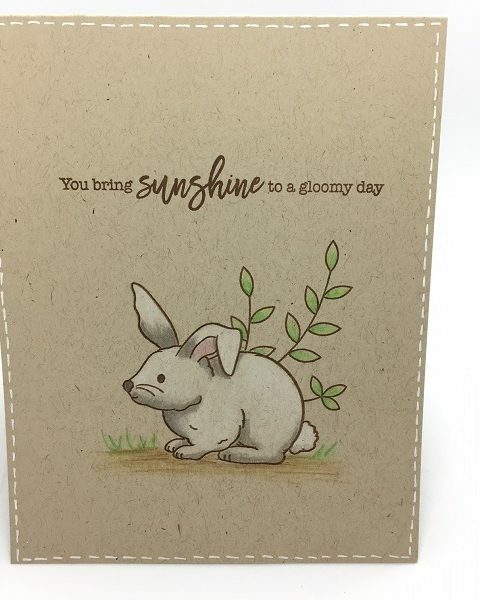 Dieser Beitrag wurde unter card series abgelegt und mit Easter, Simon Says Stamp, spring verschlagwortet. Setze ein Lesezeichen auf den Permalink.